“Old people need a lot of pills” was an observation the grandson observed about his Grampa. And while that may be a bit of a crude way of making that observation, it is certainly a correct observation. The truth is that senior citizens sometimes do find themselves taking a vast array of pills and medications. Sometimes the diversity of medications can become hard to keep track of. That is why so often your aging parent may have a pill dispenser kit which allows him to measure out the drugs for an entire week to try to keep it all straight. The real concern with that much medication being used at the same time is medicine interaction. If your retired mom or dad takes five, six, seven or more pills at a time, it’s easy to imagine that one of those medications might get into conflict with another. This is not an idle concern. Many drug related overdoses or interaction problems happen to senior citizens every year because they combined their many prescription medications with over the counter drugs or with alcohol and the chemical reaction in their bodies became explosive. So because you are the caregiver to your aging mom or dad, it’s up to you to come up with some strict rules that you have to insist become the law of the land for your mom or dad to assure that there is little or no possibility of a drug related reaction which could lead to hospitalization or death. Knowledge is power when it comes to managing your senior citizen’s medications. And the two key people you should turn to for that knowledge are your parent’s doctor and pharmacist. Sometimes the problems that arise of medicines that conflict come from the influence of many doctors in prescribing drugs. So be sure there is one doctor who is in charge of your parent’s health in general. Have him or her review the current crop of medications, their frequency and ingredients to assure that there is no potentially dangerous interactions. Your pharmacist can perform the same function as he is trained in understanding the way drugs work. So, as with the doctor, it’s good to pick one pharmacist for all of your parent’s drugs and schedule a time to go over the entire medication picture with the pharmacist to look for potential problems. The next important area of focus to avoid potential medication mistakes is the home. There is a lot you can do to prevent your aging parent from accidentally taking the wrong medications or the wrong dosages, either of which can cause potential problems. 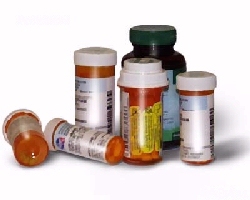 If the medicine cabinet where the meds are kept is full of similar looking bottles and the only way to tell them apart is fine print on the bottles, do your part to make them unique. You can buy multicolored bottles to transfer the drugs into. Then you can write out your parent’s medicine schedule in clear understandable terms like, “3 p.m. take 2 from the blue bottle, 1 from the pink bottle and 1 from the green bottle.” You can even take the next step of using a label maker to mark each bottle in clear, large print type so there is no possibility that what is in that bottle could be misunderstood. Take proper care to keep track of medicines and their expiration dates and stay ahead of reorder cycles. A great way to save money is to use online pharmacies or reorder services that can provide you with generic equivalent of prescription drugs. But make sure the medication provider is legitimate so you know you are getting exactly what you ordered. By staying on top of the senior citizen you are taking care of and their medication situation, you are being the brains of the operation. Your retired mom or dad may no longer have that kind of attention to detail and poor eyesight and mental fatigue can cause him or her to fail at staying on top of a complex drug situation. So you fill in that gap for your parent and in doing so, you will have the peace of mind that they are getting the medications they need and only the medications they need.